Anterior Cruciate Ligament (ACL) Surgery is a complex procedure on your dog’s hind knee joint that demands specific protocol during the post-operative phase to ensure a successful recovery. If you are considering ACL surgery for your dog or have already booked the operation then you will want to have a profound understanding of what to expect during the recovery phase. Home preparation prior to your dog’s return from the veterinary clinic. The first day and night at home after surgery. The proceeding two weeks while the sutures and staples are still present. Rehabilitation of the musculature around the operated knee, and increased activity throughout week two-six. The remaining period of recovery (week six-twelve) will allow progressively more activity, while still upholding recovery protocol. Learn in detail what to expect during each phase of post-operative care to ensure a full, speedy, and uncomplicated recovery for your dog. Your dog is undergoing a complex and invasive surgery to his or her hind knee and you will need to severely limit activity, particularly all jumping after the operation. There is a lot that you can do to prepare your home so that your dog can enjoy a safe recovery period. You will need to confine your dog for the first several weeks after surgery. Choose a room that will become the recovery space. Use a baby gate to block off entrances to this room, remove all furniture that your dog is habituated to jumping on or off of. Create a comfortable dog bed, as your pet will be spending a lot of time resting. There should be food and water easily accessible in this space. If you are not going to be available for full time supervision you will need to have a crate in this room that is large enough for your dog to stand up and turn around in. The confinement room should also be comfortable for you, as you will be spending significant time in this space providing hands on comfort to your dog. The recovery room should have non-slip floor, any slipping and sliding could harm the joint that has recently been operated on. If your home is not carpeted, you can put yoga mats, throw rugs or any other temporary matting down to prevent your dog from slipping and sliding. You may want to have some puppy mats on the floor for the first few days in case your dog loses control of his or her bladder. A short leash should be easily accessible in this room so that you can take your dog for short controlled walks. 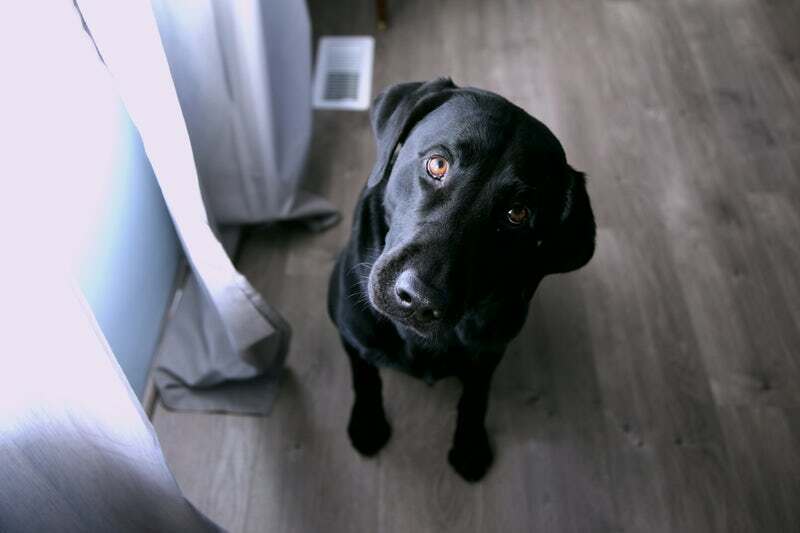 Make all necessary preparations to your home prior to your dog’s return. The first day and night that your dog spends at home post surgery will be an intense period of time for both of you, as well as crucial for the full recovery of your dog’s knee. Remember, your dog has been under anesthetic during a complex and invasive surgery and may appear disoriented when you initially greet him or her at the veterinary clinic: Be gentle and kind with your words and movements towards your dog. When you pick your dog up after surgery you will want to have a crate in the vehicle that you are driving to ensure that your dog is limited in movement during the drive home. The crate should be lined with blankets so that your dog does not slip and slide around. Your dog will need to wear a cone around the collar area of the neck to prevent him or her from licking the sutures or staples at the point of incision. This must be kept on at all times until the sutures are removed. 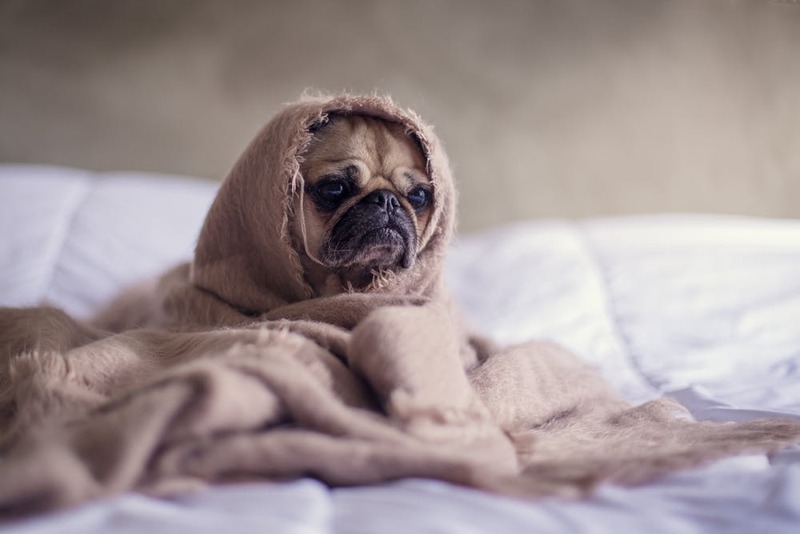 Do not be alarmed if your dog does not have an appetite the first day and night home, this is common and you can trust that hunger will resume within 24 hours. Have water available for your dog in the recovery space that you have prepared, like food your dog may not drink much in the first 24 hours and you should not be alarmed. Even if your dog is not eating or drinking in the first 24 hours have water and food available in case this changes. Your dog may whine and howl the first night, this is also common and you can provide hands on comfort in tandem with a soft comforting voice. Your veterinary clinic will provide painkillers for you to keep your dog comfortable. 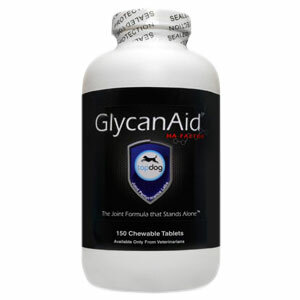 Remember DO NOT GIVE YOUR DOG TYLENOL OR ASPIRIN or any other over the counter painkillers for humans, these can potentially be lethal for your dog. Follow only the instructions that your veterinarian has given you for pain relief. 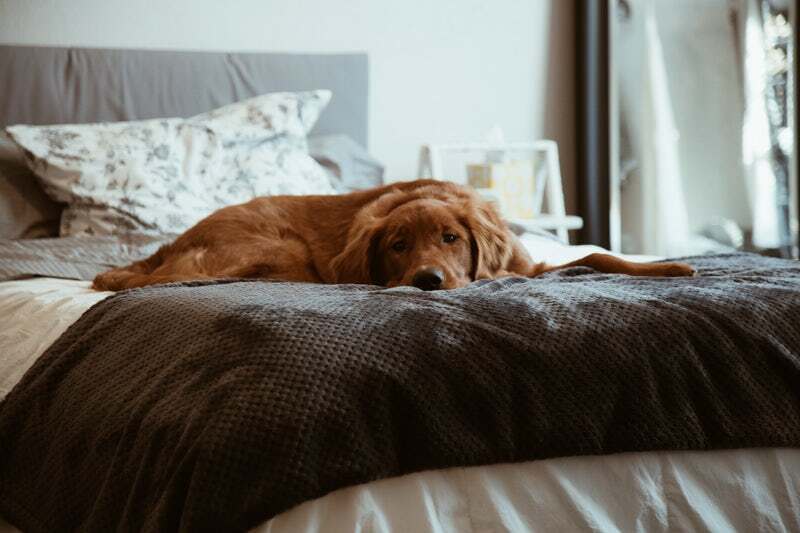 If you are not available to supervise your dog at all times during this recovery phase then you will need to have him or her in a crate to ensure that all activity is limited. Most likely, during the first 24 hours post operation your dog will be drowsy and potentially disoriented, the best thing you can do is to be there to comfort your dog and ensure that all physical activity is limited. Having made it through the first 24 hours post-operation you will need to recalibrate to new habits for the next two weeks. You may take your dog for walks three to four times per day lasting no more than five minutes. Your dog must be on a short leash to limit activity. These walks are strictly for the purposes of urination and defecation. The walks should be kept to half a block. The cone should be kept on your dog at all times so that the point of incision is not irritated. If, the cone causes your dog to lose balance you may remove the cone for the short walks and put it back on immediately upon return home. Your veterinarian may recommend placing a towel or sling under your dog’s belly to provide additional support to the hind legs to aid in weight bearing. You will need to monitor the point of incision; some swelling is normal during this stage of recovery. You may apply an ice pack four to five times a day to the area to help reduce swelling. The ice pack should not be wet and it is important to keep the incision point dry, you may need to apply a dry cloth to gather any moisture that may be left on the wound from icing. If there is pus or excessive swelling you may need to take your dog back to the veterinary clinic. Icing the point of incision several times a day will help recovery of the lesion point. Please check in with your veterinarian to find out specifically what they recommend as range of motion exercises. At this stage the utmost gentleness is necessary: Do not push your dog into painful motions. You may perform a gentle massage on the leg starting at the toes and working up to, but not on, the joint. 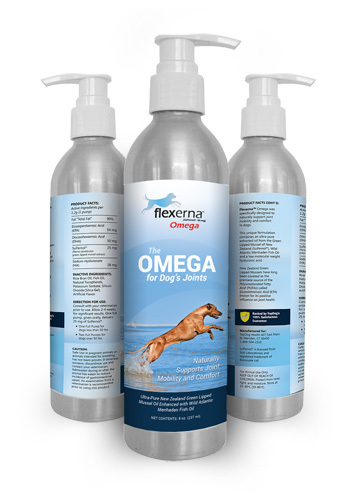 This will improve circulation to the injured joint and provide comforting touch for your dog. It is imperative that activity be restricted throughout the first two weeks after surgery. If range of motion exercises are going well, swelling is decreasing at the incision point, and short walks are becoming increasingly comfortable, then you may extend the length of walks after 8-10 days to include a full block or a block and a half. Remember: Keep the incision area clean and dry at all times! If at any point you are unsure of any developments or are worried about increased swelling call your clinic and check in. The first two weeks after surgery are critical for your dog’s recovery. Most clinics will remove sutures or staples on or around day 14 post-surgery. The removal of sutures will be the first noticeable landmark of recovery. You must still walk your dog on a short leash but at this point the sling or towel under their belly may be removed. You will also be able to remove the cone around their head if there is no infection in the incision point. Range of motion exercises will become more important and elaborate. Your dog will be able to bear more weight on the operated leg, and some exercises may be performed while standing as you reach the third week post operation. Icing of the operated joint should be performed after range of motion exercises. Continue to massage the operated leg before and after mobility exercises. Confinement within your home should be maintained and jumping must continue to be prohibited. You may during portions of the day open up the home so that your dog can roam between two or three rooms. While the dog is unsupervised you will need to keep your dog in a crate. After 4 weeks, if you have a pool, your dog can swim a few times a week, this can provide a great way for your dog to get some exercise without bearing weight on the joints. All changes to your dog’s habits should be progressive and incremental. Walks may be elongated one day at a time; rooms in the home may be opened for short periods of time. Continue to limit activity and keep an eye on any increased swelling around the joint. If you become concerned about your dog’s behavior or any unexpected developments contact the clinic where the procedure was performed. At this point in the postoperative recovery period you can begin to open up to greater activity. Walks should still be performed on a short leash and over stable flat terrain. By week 12 your dog may be permitted to engage a gentle trot. Do not bring your dog to the dog park until four months after surgery. Continue to perform mobility exercises as recommended by your veterinarian. Some professionals recommend a knee brace for your dog as activity is increased during this stage of recovery. Consult with your veterinarian to have a knee brace fitted for your dog to encourage healthy range of mobility. If you have access to a confined space, perhaps your own yard where there will not be any other dogs, you may let your dog off the leash to play and move around more freely at week 12. Continue to massage the operated leg, perform mobility exercises, and ice the joint after range of motion therapy. Be mindful to progressively increase activity and be alert to any changes in your dog’s behavior and pain. For the first four months after surgery, activity, including jumping, running, and playing with other dogs should be restricted. After four months you may introduce your dog back to the dog park, yet remain mindful to monitor your dog closely. The confinement period is over and your house can be opened up once again for your dog to free roam. Massage the operated leg regularly and continue to have your dog perform physical therapy exercises that will promote complete recovery. Before opening up to all previous activities bring your dog to the veterinary clinic for a check up to make sure that all wounds have healed and mobility is in a healthy range. ACL surgery is invasive and complex, the postoperative recovery period is intense, and therefore requires diligence on behalf of the owner. If at any time you are concerned with your dog’s recovery, consult with a professional. By following a few guidelines for the specific phases of your dog’s post surgery period you will foster a safe and speedy recovery. ACL surgery for your dog is an intense procedure and will demand a lot of your attention, time, and care. Expect the recovery to last a full four months. 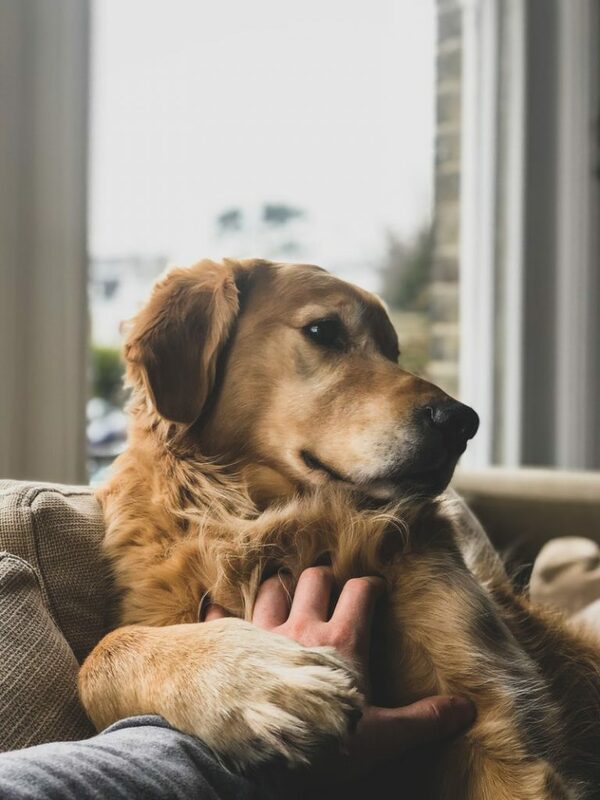 From the time that your dog returns home, recovery will be incremental and progressive, be patient with yourself and your dog, before you know it your furry friend will be up and running!